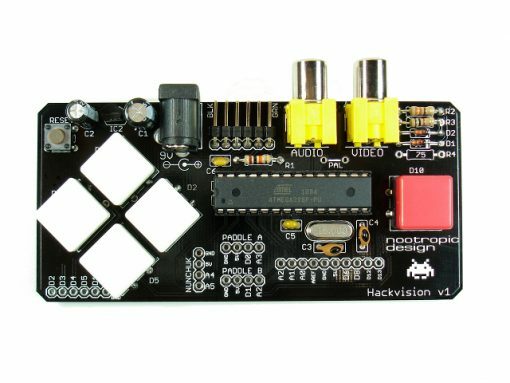 Hackvision is the tiny, hackable, Arduino-based video game system. Fully assembled/tested. NO Arduino is required. 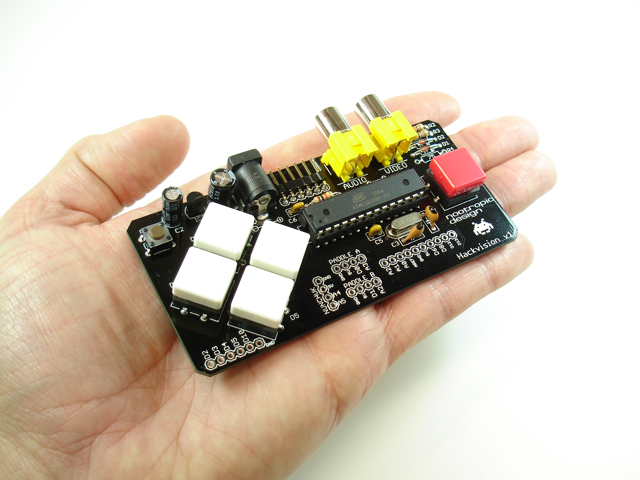 Based on Arduino technology so you can write your own games and upload them using the Arduino IDE. All you need is a USB to TTL serial cable or adapter. 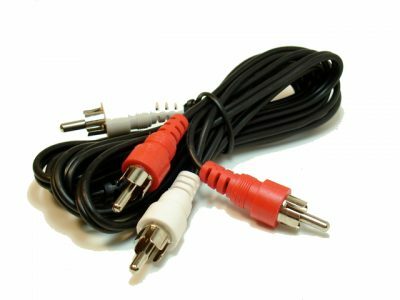 Connects directly to your TV with standard RCA connections. One for audio, one for video. 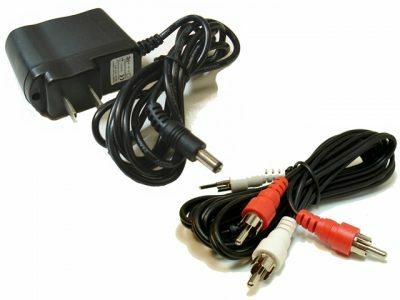 Works with NTSC or PAL (Europe, Africa, Asia, South America) TVs. Integrated button controller right on the PCB. Preloaded with awesome Space Invaders and Pong games. More games coming. You can write them, too. Other controllers supported: Wii nunchuk, SuperNES, or paddle controllers you can make from a potentiometer and button. Software libraries for game development and controller support. High score files stored in EEPROM so they are retained even with power off. All unused pins broken out to pads for your hacking pleasure! 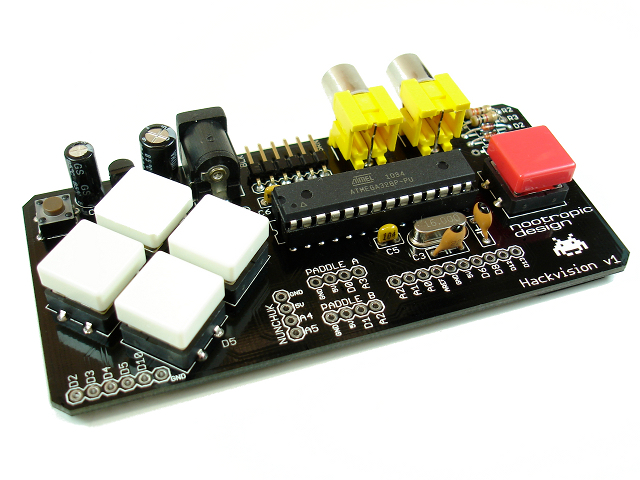 Non-conductive adhesive foam pad protects the bottom of the board from your fingers. All through-hole components. Kit can be assembled in 30-60 min. Fully assembled and tested units will also be available. 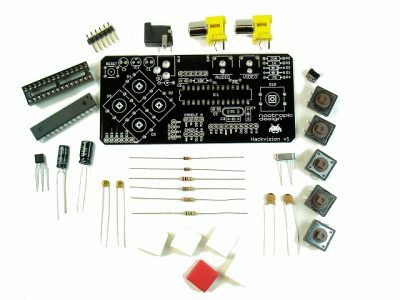 Additional accessories available for purchase including 9V adapters, RCA cables, Wii nunchuk breakout boards, paddle controller kits, USB-Serial adapters, etc. See full product details for lots more information about loading games and making your own!